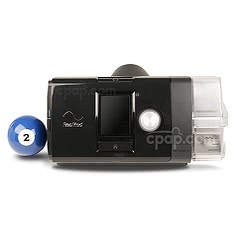 CPAP Machines blow air at your physician prescribed pressure no matter how open or closed your airway is. 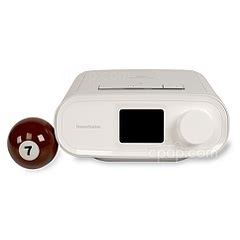 This is the most popular type of machine available as it the standard for traditional medical providers. Higher end units support therapy tracking software, off grid power options and heated humidification. Is there a CPAP that runs on batteries? How long do they last? Many CPAPs operate on 12 volt DC power. 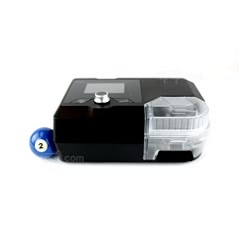 If your CPAP has a DC outlet, a round, single hole in the back or side of the unit, then you should be able to operate it from a 12 volt DC power source. The appropriate DC power cord is needed but inverter is not necessary. Typically, the DC power cords plugs into the CPAP and end in a cigarette lighter plug. To connect a CPAP directly to a battery, you would need a DC adapter cable that fits over the cigarette lighter plug on the DC power cord and ends in alligator clips. For the longest usage time, we suggest you use a deep-cycle marine type battery. It will operate most CPAPs at most pressures for about three nights before needing to be recharged. 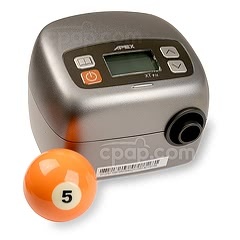 We sell a smaller, portable, rechargeable Battery Pack on our site that will operate most CPAPs and most pressures for one night. We also have battery kits that come with everything needed to run your machine off battery power including the right cables needed for your machine and a battery. 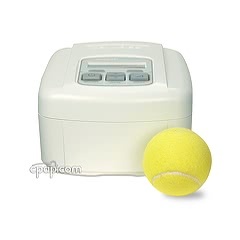 The Transcend Travel CPAP Machine by Somnetics can be set up to have a fail-over, back up battery by using their Transcend Multi-Night Battery. If the power goes out, the machine will automatically switch over to battery power without an interruption to your CPAP therapy. Read about that on the "Power" tab of the Transcend Machine page. What is the difference between sound pressure and sound power level? Sound power level is the acoustic energy emitted by a sound source. It is an absolute value that does not change based on the environment. The sound pressure is what our ears hear and can changed based on the environment and the distance from the sound source. For example, a refrigerator can emit a hum at an absolute value of 38 db (sound power), but standing 20 feet away from it and behind a wall, you may only hear 30 db (sound pressure). 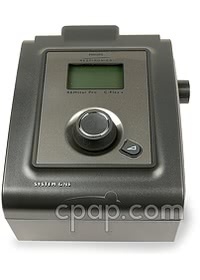 CPAP stands for "Continuous Positive Airway Pressure". Some CPAP machines have sleep tracking built in! 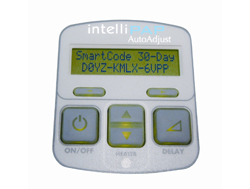 Like the IntelliPAP Standard Plus. Comparison between automatic and fixed positive airway pressure therapy in the home.